Mrs. Phillips studied violin at the University of Missouri in St. Louis and graduated with Honors. She preformed with the St. Louis Philharmonic for 3 years under Robert Hart Baker. Mrs. Phillips was then invited to play with the York Symphony Orchestra in Pennsylvania. After moving to the Washington D.C. area Mrs. Phillips started her own Suzuki violin studio and continued to preform with local groups. She participated in a workshop and concert with The Baltimore Symphony Orchestra at Strathmore Music Center under the conductor Maria Alsop, sitting assistant principle chair. Mrs. Phillips has pursued pedagogical training including Suzuki Teacher Training from Ronda Cole, Edmund Sprunger, Ann Montzka-Smelser, Dr. Gail Johansen, and Linda Fiore. She has attended many a teacher workshops including ones taught by Brian Lewis, Edmund Sprunger, and Gabe Bolkosky. She has also taught at the Suzuki SAGWA String Festival. 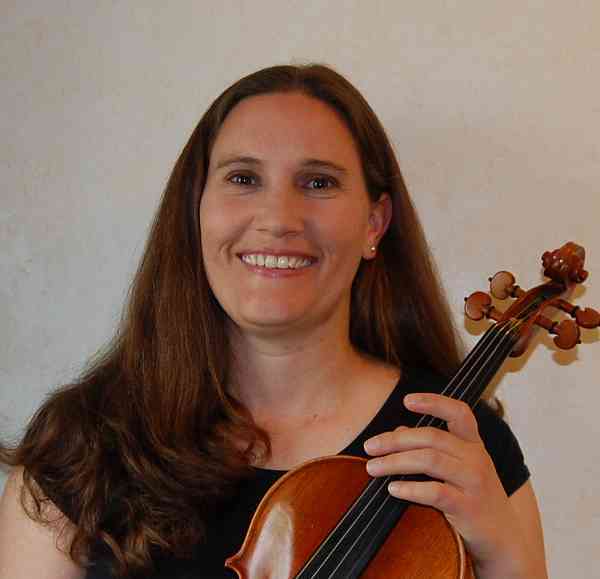 Mrs. Phillips has also preformed with the Brigham Young University Orchestra, Meramec Orchestra as concert master, Trinity Orchestra, NIH Philharmonia assistant principal chair, guest for local community orchestras and is currently a 1st violinist for the Washington D.C. Temple Orchestra. She also has served as a violinist with performing groups for other events in the Washington area including orchestral violinist for violin soloist Jenny Oaks Baker, singer Lexi Walker, and a Pink Floyd tribute band. Mrs. Phillips currently maintains a private violin studio at her home in Northern Virginia where she resides with her husband and 4 children.